Our lightweight but heavy-duty aluminum camper stabilizers feature stainless steel bolts with both chain and chain binders. This bracing system works to remove the side-to-side and frontto- back frame movement. Eliminating the annoying sway as you move within your camper, and providing a very solid feeling. 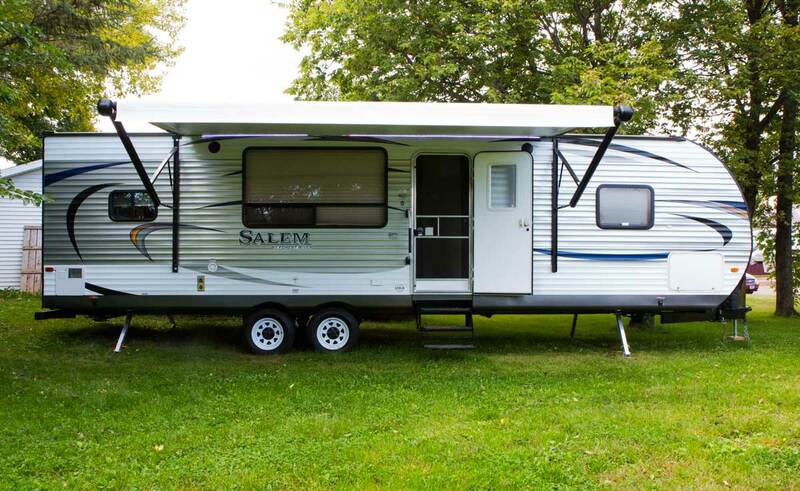 Camper stabilizers can stabilize any frame height from 19 to 26 inches high – removing the rocking, wiggle, and shaking movement of your camper trailer. Any trailer, camper or 5th wheel that has an exposed frame works well with our stabilizer. The 45-degree angle is key t0 giving your camper a solid stance.